Quick Service Drive Thrus influence their customers on a very large scale. That vanilla shake your drive thru presenter handed to a customer may have been the perfect ending to the ultimate first date. Your drive thru may be the only one an elderly customer has gone to for his morning coffee for the last three decades. In a busy lunch time shift, an order may have been missing a side of fries, ruining a customer’s 30-minute break from a job she hates. THERE IS A LOT OF FAST FOOD PSYCHOLOGY THAT GOES INTO YOUR DRIVE THRU. 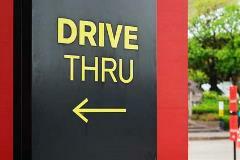 Most think of the drive thru only as a way to get fast food. That assumption is correct, but there is a psychological tie to placing an order. Placing an order, and essentially receiving feedback on that order as being correct or incorrect, traces back to a basic human need. That human need is esteem—as in the esteem aspect in Maslow’s hierarchy of needs. This esteem means that all humans need to have effective communications between others. The idea that a person is being heard and their needs are being addressed is with an order confirmation system. This fast food psychology—the use of an order confirmation system—fulfills that foundational human need. You might ask why this concept of fast food psychology can’t be addressed without an OCS. It is human to make many errors, and repeating an order back to a customer has countless pitfalls involved, especially with a legacy speaker/headset system. That idea also slows down the drive thru process, which would slow speed-of-service during peak hours. Both opposing views lose money for your business. The use of an order confirmation system doesn’t just help your kitchen avoid customer recoveries, it addresses people’s mental necessities. Using an OCS gives your restaurant the chance to address the bigger picture: getting customers to trust, depend on, and need your brand. Aside from your store’s food quality, prices, profits, and other numerical values, an OCS brings fast food psychology to your combo meal without tomatoes.